CRITICAL in iTunes… TURN ON ENCRYPT OPTION this will save all your passwords, wifi login passwords, etc. – and save you frustration and time down the road. If backup ran before this was done, turn on encrypt and sync again. OK – good encrypted backup complete to iTunes on to your Mac/PC ? if not go to 1 and do it again. DECISION TIME! you can update right now while in iTunes and plugged into your computer – click on check for updates and do it – good option if you are low on free memory or nowhere near an Apple Store – read whole blog post before you… – UNPLUG FROM YOUR Mac/PC – done with THAT. Why did I go through all this? Because if all else fails everything can be restored via iTunes right at home. And I want update to be as fast as possible – home internet speeds for GBs of stuff are a pain. We are off soon to Apple store . The iOS updates are large files and if you don’t have have enough free memory, you can just do it while in iTunes now – and it will take a long time at home but go ahead and do it if an Apple Store isn’t handy. Just make sure you are fully charged. Go back to iDevice and settings/iCloud and turn BACKUP BACK ON – you’ll have to enter your apple account password. Run iCloud backup now. Run iCloud backup now. Run iClo…. NOW THIS IS WHAT SAVES TIME: look at my screenshot here and look at the size of these apps! The apps with “remove” tag are on my phone right now. I juggle along with what I need since I have only 16GB of memory on my phone. WHAT YOU WANT TO DO IS GO TO PHONE and DELETE apps that are not essential right now – THEY CAN BE RESTORED LATER, Apple knows what you have purchased – this will save tons of time today – so check it out. iMovie is almost a GB – you can restore it at leisure later on but right now you don’t need it to slow your updating with this – Excel is ½ GB remove it (left Word because that’s very important) – I removed a dictionary and also Trip Advisor – these are not essential apps at this point and will be re-installed later. So dump the fattest ones you won’t need immediately after you turn your updated phone on. This stuff you will not be downloading during your restore from iCloud! WHOOPEE! Did you backup to iCloud again? Charge phone/pad 100%! Take your cord and charger – they have plugs. OK – I go to nearby Apple Store and use their wifi – much faster than at home but still can take a long time. You can use your own wifi or use the iTunes backup just made. But I prefer to totally dump system and restore phone as if it were new from my most recent iCloud backup. (WHY? I want all the cluttered files, diagnostic stuff, and any crash reports and stuff gone – these have been slowing phone/pad down and they are better gone – this is time to do it) This means you’ll be re-entering your phone lock pin, fingerprints if you have that, pick English, etc. But not all your app passwords, wifi passwords, etc. because THEY HAVE BEEN SAVED AND COME BACK FROM YOUR JUST DONE iCLOUD BACKUP! You will be asked if you want to restore from iCloud backup so say yes and do it. 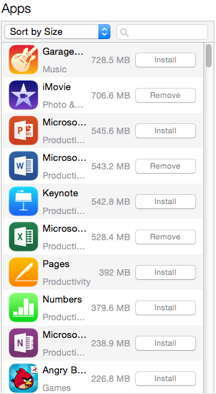 All your apps from last iCloud backup will come in, expedited since you dumped the fatties. Watch paint dry. And apps restore. Look at all the groovy Apple people. Ask iPerson to watch your phone so you can find an iPotty. FORWARD/TECH (Feb 19) what is this? Of course. FORWARD/TECH is my writing on the fascinating world of Internet and technology. Collaborative is becoming the new model of governance, from non-profit, to enterprise, and now edging into government. The Internet, never actually built to be all-powerful and secure, is a work in progress and under enormous pressures. Dangers, concerns, breakages, gaping security holes, national rivalries, surreal strategic death matches, raves, leadership and not. Crazy and disturbing bits in Impure Wired Oddities, Open Source Nation–a trans-national tier of the connected, a glossary. And some of my work – I am always ready to assist, consult, plan and build to suit. Open, random, supportive–the ORS model that is superceding top-down management styles.